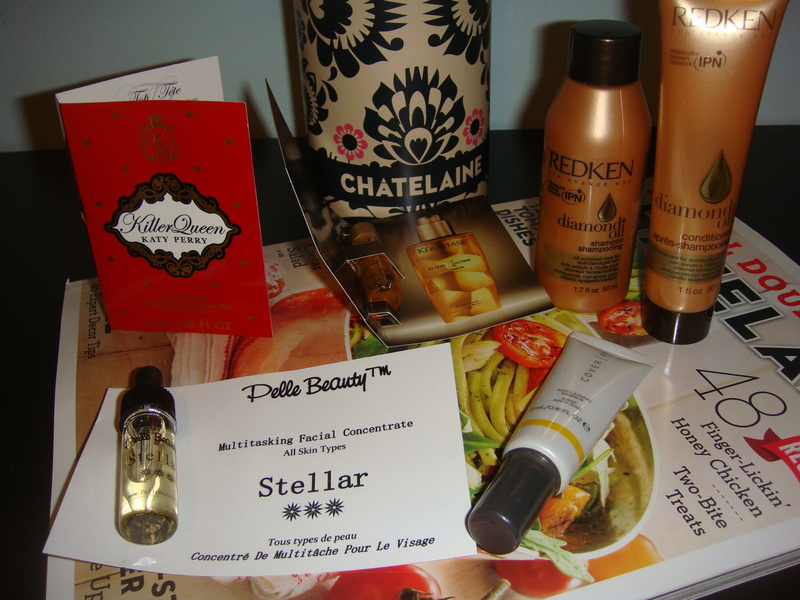 This month, Topbox teamed up with Chatelaine to provide certain products that were “Chatelaine Picks” in your box. 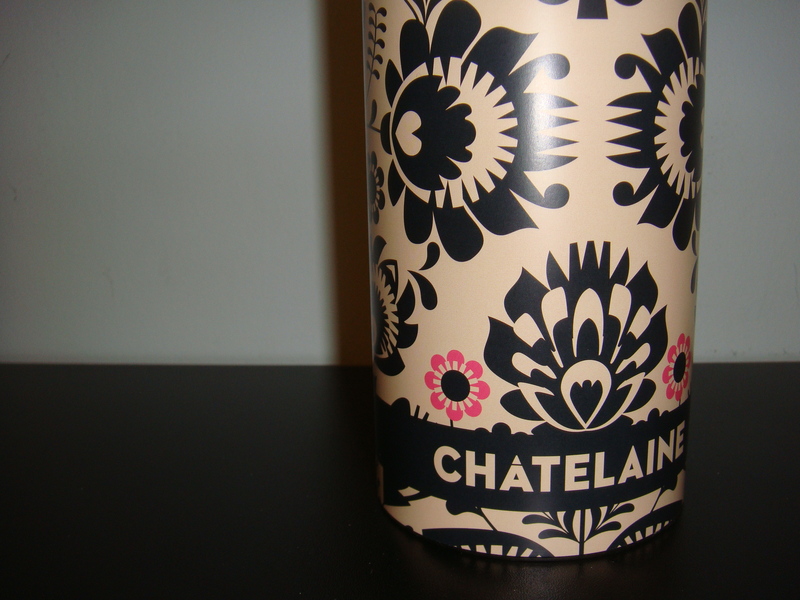 The topbox arrived in a fairly large cardboard box and upon opening it, the tube was longer and had a nice print with the word Chatelaine on it. Seeing the length of the tube, I knew that it probably contained a magazine. – A primer that acts doubly as an anti-aging serum prior to makeup application. I can always use primers and am always looking to try new ones because I have yet to find one that is perfect for my skin type. After a swatch on my hand, I like that this one is clear, has no scent and absorbs right into the skin. It feels very velvety and after testing it out, it does a pretty decent job at making foundation stay in place. However, I had to squeeze really hard to get the product out. Just looking at the tube, it appears to have a lot of product in it, but I feel like it’s too big of a tube to hold such little product. – I previously received a Kerastase elixir oil in a previous month and I enjoyed using it. This one contains camellia, argan, maize and pracaxi oils to nourish and protect your hair to leave it feeling soft, light and shiny. I am still trying to use up my huge bottle of Moroccan oil, but this little sample will be great for travelling. – This oil is supposed to have many different uses: a moisturizer, makeup remover, makeup primer and mixing medium for mineral makeup. It has a sort of light floral scent to it that is not too overpowering. Quite intriguing! I will be trying this out for all of the above uses. Can’t wait to see how well it works! – This shampoo and conditioner is an antidote for dull and damaged hair. It contains coriander oil, camelina oil and apricot oils to strengthen hair and prevent breakage while also boosting shine. Seeing that my hair could use more shine and smoothness, these will be great to try out. – I am not fond of receiving perfume vials in these boxes, as I feel that it is not sufficient enough to be considered a deluxe sample. This however was considered a “bonus” item so I will let it slide. It has a nice floral scent to it that will be great for daytime use. Also included was a copy of September’s issue of Chatelaine. I do enjoy reading lifestyle magazines and it was nice that a copy was included in this month’s box. This is the first time in awhile that I will use all of the items in this box. How surprising! Is this a glimpse of better future boxes? Must stay tuned.